Woohoo! We’re happy to report this one! Welcome to the world, BABES! Last month, The Washington Examiner reported that the U.S. House of Representatives has FINALLY passed a bill which will prevent Transportation Safety Agency (TSA) officials from forcing nursing moms to dump out their breastmilk when traveling. The bill, named Bottles and Breastfeeding Equipment Screen and adorably nicknamed BABES Act – requires that TSA screeners, agents, and employees be trained on what the actual regulations are and how to implement them. We cannot welcome this new legislation soon enough. As a mom who has traveled with both breastmilk, pumps, and a baby – I’ve had my pump pulled aside to have it checked for explosives and I’ve had a TSA agent threaten to dump my milk simply because my baby was not with me. ALL THOSE OUNCES! 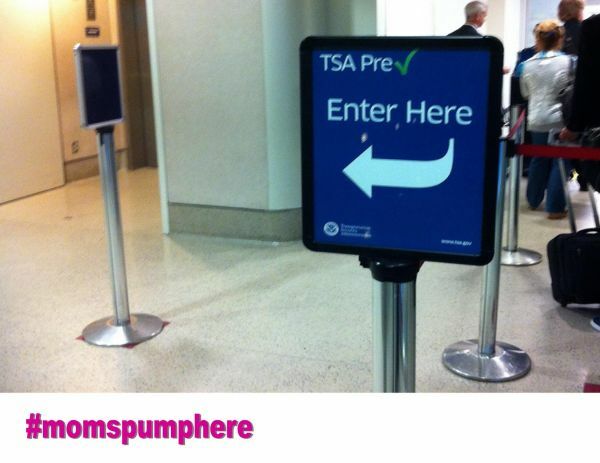 There’s no way I should dump my breastmilk because a TSA agent is not well-informed of their own travel policies. Thank you, fellow moms who have pushed for this legislation. No pumping mom should feel anxious or worried that they may lose their breastmilk because of an uninformed agent not being fully aware of what the woman’s rights are. We are hopeful that soon pumping women can travel without a hard copy of the TSA’s policies on pumped milk – and we will be able to quickly sail through the security gates with our milk without feeling scrutinized or judged for bringing milk with us. Are You a Mom Who Multi-Tasks While She Pumps?